In coordination with the Jesuits in Xavier School headed by Fr. 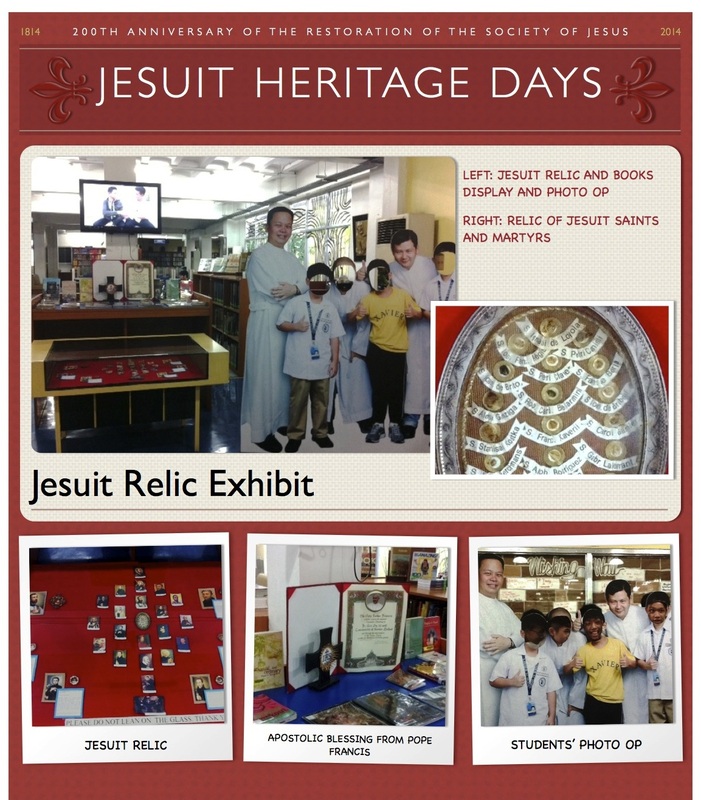 Xavier Olin, S.J., the HS LRC takes part in the Jesuit Heritage Days celebration by staging exhibits honoring the Jesuit founders and symbols. The exhibit opened last July 22, 2014 featuring the holy relic of some and important Jesuit saints and martyrs. Books about and written by Jesuits were also displayed together with the relic. A photo op (photo opportunity) with Xavier School President, Fr. Ari Dy, S.J. and other Jesuit priests was temporarily installed to accentuate the celebration in the HS LRC. 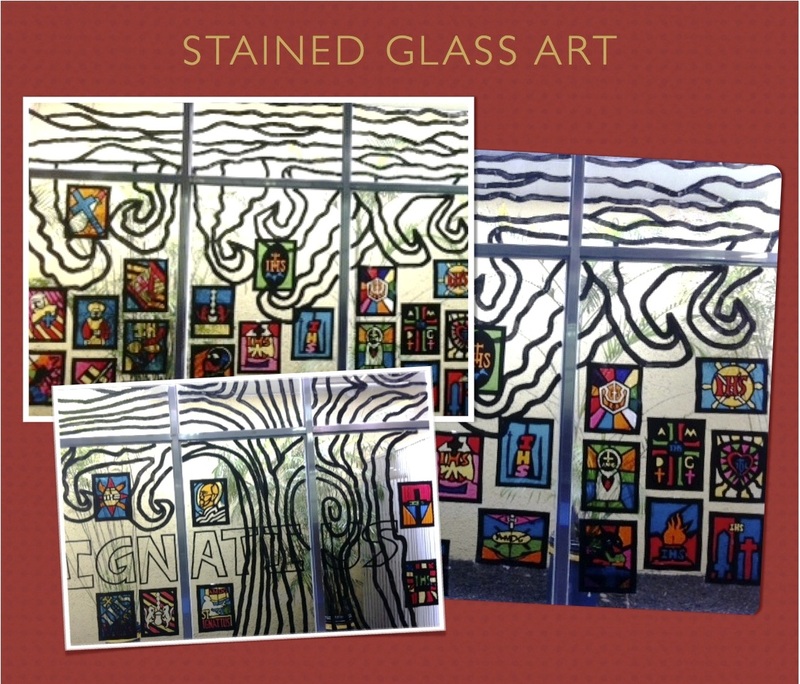 The Art Department also commemorates this Jesuit heritage celebration by displaying student art works on glass panels of the HS LRC beginning August 4, 2014. The art works are compositions of different media such as cellophane to create a stained glass effect. It aims to revisit the Society of Jesus and the Jesuit coat of arms and symbols. The relic display is only until August 15, 2014 while the Jesuit stained glass art exhibit will extend until August 22, 2014.